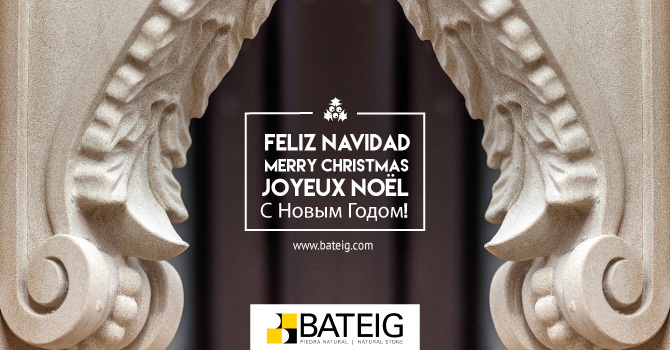 Bateig wishes you merry Christmas! Once again, Christmas is here. As a consequence, it’s time to evaluate and think about the lasts months, since in a few days we will be saying goodbye to 2016 and welcoming 2017. For this reason, it is a good moment to stablish the New Year’s resolutions for this new period, although we already know that some of them will not be achieved. Christmas is characterised by its warmth. During these holidays, people come back home for the traditional family gatherings, where food and fun are guaranteed. It’s also time to stuff oneself or, even, to catch flu but nothing else matters as long as you are with your beloved ones. After Christmas celebrations, we welcome the New Year by attending more big meals and gatherings, which will probably go on until dawn but, even though it may seem always the same, we all know that every single moment of these days is different and unique. At this time, we want to wish you a merry Christmas and a happy new year. Remember to save time to relax and enjoy every moment. We really expect 2017 to be much better than 2016, bringing health, fun and, above all, love to everyone.